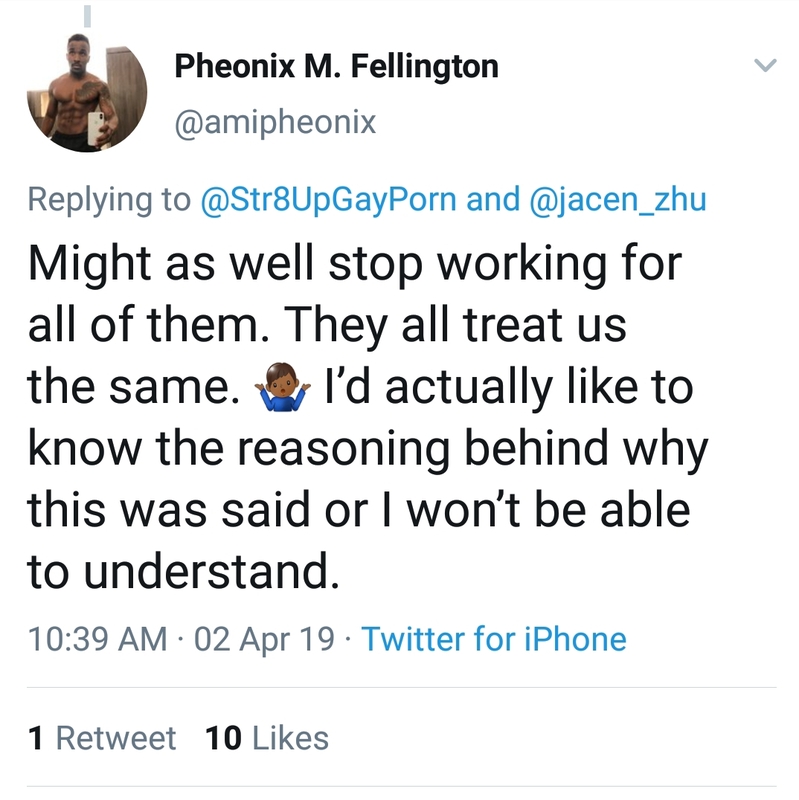 Home / Jacen Zhu / phoenix fellington / Phoenix Fellington Chimes On Jacen Zhu's Statement On Noir Male! 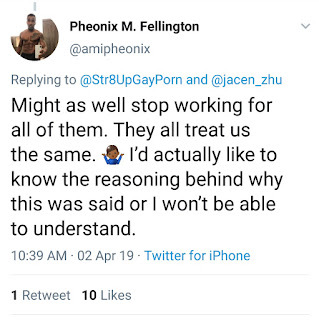 Phoenix Fellington Chimes On Jacen Zhu's Statement On Noir Male! 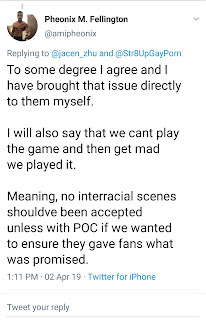 Yesterday Jacen Zhu revealed why he no longer works with Noir Male. Fun fact: Phoenix Fellington won Nior Male's Man of The Year in 2018. I remember on one NoirMale Twitter poll the top vote getter by a long shot was "Black-Black" pairings. But NoirMale keeps going hard on making sure a white boy is in the mix. 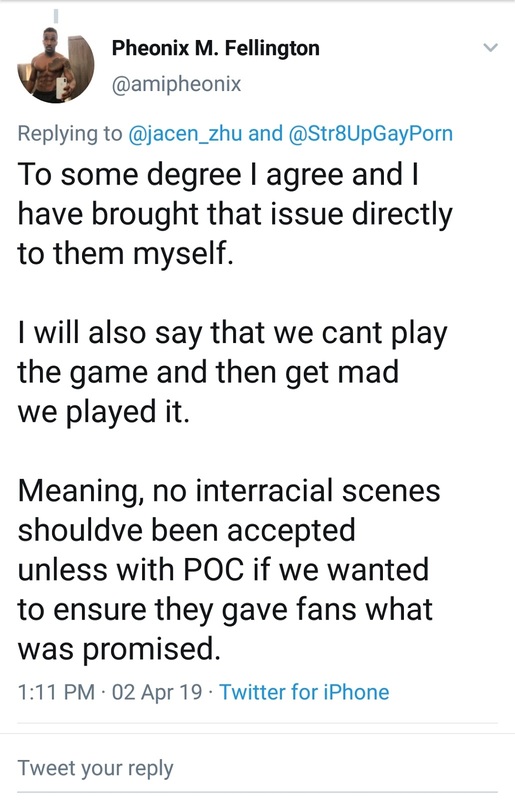 Also, interracial can also mean Asians, Native Americans, non-Black Latinxs, etc. Why do white people have to be centered in a studio named "NoirMale"? Why do white people constantly have to be centered at all?